Michael became Chief Executive Officer for Duke Corporate Education (Duke CE) on July 1, 2016. 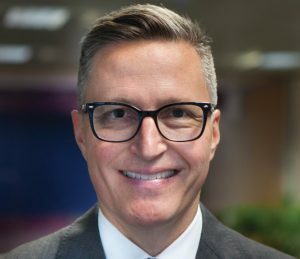 For over a decade, Michael has led Duke CE in various roles ─ most recently heading its European operations in London, and before that in the Western U.S. Michael’s focus is in helping clients around the world to connect strategy and leadership. He advises and teaches in leadership and culture, organizational networks, team collaboration, strategy and execution. He is passionate about the need for purpose in organizations. Chapter Eighteen: Embedding a network perspective into leadership, Organizational Networking Fieldbook, Jossey Bass, 2010. Employee engagement and purpose. According to Gallup, just 32% of US workers are considered engaged in their jobs. Michael can discuss how to address this by helping organizations to articulate and disseminate their purpose. New models of leadership. Traditional top-down managerial hierarchies are going away because of the level of complexity and uncertainty in our world. Michael can clearly articulate why we are moving towards a more networked and influence model of leadership that requires leaders to rely on others in different ways than in the past. New styles for personal leadership. Michael believes that in the midst of volatility, leaders must adopt a new way of thinking to solve problems that are often unknown. This means that leaders must be able to influence, step outside of hierarchies and lead with less authority. It is no longer possible to just coordinate individual siloes of expertise. For both leadership and learning, it is necessary to let go of old paradigms and models. Leadership development trends. Michael’s work with leaders around the world has given him unique perspective on the challenge of leaders having to learn and develop in a world where the problems are less foreseeable and existing knowledge is less reliable. Learning to implement shorter cycles of sensemaking and testing is quickly becoming the new way to rewire and reorient. This approach embraces a mix of tools from ethnography to strategy, but also requires deep self-insight and self-awareness to build organizational energy and followership. Sharmla Chetty is the Global Head of Europe and Africa for Duke Corporate Education and serves on the board for Duke CE Africa. She leads the client relationship management, advisory work, and the building of client organizations’ strategic capacity and capabilities. She has experience working in a range of industries including financial services, healthcare, and mining and in various regions, including Africa, China, Europe and India. 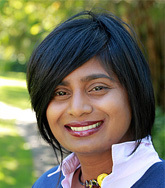 Prior to joining Duke CE, Sharmla was the head of Human Capital Development at Nedbank. Sharmla is the recipient of the 2016 Award for Entrepreneurial and Academic Excellence on the African continent. Sharmla is a Fellow of the eighth class of the Africa Leadership Initiative-South Africa and a member of the Aspen Global Leadership Network. Sharmla is passionate about developing the capability of women and of African talent. Female Leadership in our Time, European Business Review, March 2016. Building Human Capability in Africa- Africa’s growth opportunity will be driven by the extent to which it can grow human capital. Sharmla discusses the range of education opportunities in place to empower professionals and build the capability for future professionals in Africa where she has led and delivered corporate education in 18 African countries. She is a thought leader in cultural adaptability, stakeholder building and management on the African continent. Women in Leadership- Sharmla is committed to the ability of business to empower women in multiple ecosystems, particularly around community and the meaningful participation of women in business, whether it is a representation on a board, or building women in entrepreneurial development. With Duke CE, she has developed programmes specifically oriented toward this issue, which is a passion of hers. The Leading Africa “Board Leadership – Voices of the Future” programme is aimed at increasing board representation by at least 30 percent for women in decision-making positions in both the public and private sectors. The programme focuses on developing key skills and challenges facing women in leadership today, including governance, ethical leadership, enabling high performance in others, networking, personal brand, stakeholder engagement, powerful communication, and creating a sustainable culture. Next Generation Talent- The next generation of workers have arrived and they won’t stay as long as other generations at one company. Sharmla discusses how to not only attract next gen talent, but also how to nurture and grow and harness GEN Y and GEN Z day-to-day, while bringing agile learning to bear in the workplace. Tony O’Driscoll is Reaserch Fellow for Duke CE focused on getting leaders ready for what’s next. 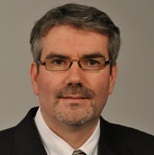 He has held several leadership positions with Nortel Networks and IBM, and was a founding member of IBM Global Service’s Strategy and Change consulting practice. Tony has spent the bulk of his professional and academic career at the nexus of Business, Innovation, Technology and Learning, creating and implementing strategies that enable organizations to realize the full potential of their most valuable asset: Talented and Creative People.He holds an Ed.D. in Organization Learning, an M.S. in Management from North Carolina State University and a B.S. in Electrical Engineering is from Virginia Tech. Next-generation learning strategies and approaches that accelerate the development of leadership capabilities required to succeed in an increasingly volatile, complex, uncertain and ambiguous (VUCA) business context. Technology: How the adoption of disruptive technology is driving societal, political, economic and environmental change at a pace and scale today’s institutions and organizations find challenging to address. His book Learning in 3D: Adding a New Dimension to Enterprise Learning and Collaboration (Wiley, 2010), examines the impact of the emerging immersive Internet on human capital strategy and practice. 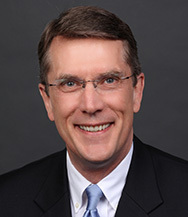 Tony also wrote Achieving Desired Business Performance (Intl Society for Performance Improvement, 1999), exploring the discipline of Human Performance Technology and how it can be integrated with Organization Design and Training and Development to create a more comprehensive and effective approach to building organization capability. John leads Duke CE’s Asia region. He designs and delivers custom programs for clients across Asia. His client work has encompassed brand, marketing and customer strategy; leadership development; innovation; organizational networks; and design thinking. Prior to joining Duke CE, he was a dean at the SP Jain School of Global Management, and before that led global marketing groups at Nike, Transamerica and Informix, and founded two award-winning companies. John researches dozens of top companies each year in his published work and keynote addresses. His extensive experience in business, academia and publishing give him a unique perspective on the factors required for creating value and sustainable business success. He is a best selling author of ten books and numerous articles on business excellence. His latest book, co-authored with Mark Farrell, is entitled The Market Oriented University (Edward Elgar Publishing, 2016). He has also contributed a number of book chapters, practitioner articles and refereed journal articles. Learn more about his academic work at the following link. “Embrace Disruption” – article contribution for the EFMD Global Focus magazine published in October 2016. Leadership Behaviors of Top Performers. Based on his continuing research of 300+ companies, John has developed a framework that describes the characteristics and actions of top performing leaders. Developing Reputational Leadership. Top performing organizations execute in four areas superbly well: Destiny, Distinction, Culture, and Experiences. John shows how these organizations navigate and negotiate across and among these areas in a ceaseless effort to stay relevant and compelling and also create substantial value in the midst of the ever-shifting global context around them. What Successful Sports Entities Can Teach Non-Sports Organizations About Leadership. There are powerful business lessons that can be gleaned from the world of sports. John can share unique analysis on this topic, drawing upon his research covered in his books and publications.